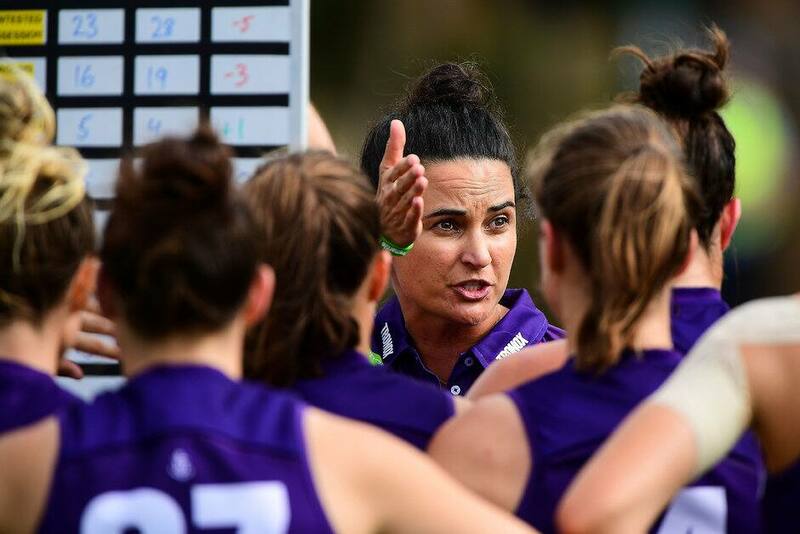 FREMANTLE'S inaugural NAB AFL Women's coach Michelle Cowan has departed the club after two seasons at the helm. Cowan was in discussions to extend her contract, but has chosen to pursue other opportunities amid a review of the women's team's operations. The Dockers improved on their solitary triumph and a draw in 2017 with three victories this year, but finished seventh on the ladder in both seasons. "A review of our AFLW operations, chaired by general manager of football operations Chris Bond, is underway and has been tasked to ensure that we are maximising our AFLW team's performance," CEO Steve Rosich said. "The ongoing review of our AFLW operations will now include seeking a new senior coach for our AFLW team. "Michelle has played an integral role in laying the foundations for what was the first-ever AFLW team in WA. "At Fremantle, we are very proud to have been granted WA's first AFLW licence and we thank Michelle for her work both on and off-field. "Michelle has made a significant contribution in getting our women's team up and running and also more broadly to the promotion and participation of women's football. "Michelle's contribution has been evidenced by the energy, passion and enthusiasm she brought to the club and to her role as senior coach of our inaugural AFLW team. "We wish Michelle and her family all the very best for the future." Cowan joined the Dockers in June 2016 after coaching Melbourne's women's team and thanked Freo for the opportunity. "It (leaving) was difficult in the sense that I am passionate about the role and love the job, but easy because it will allow me to spend more time with our young children," Cowan said. "It has been an honour and a privilege to be the inaugural AFLW coach at Fremantle and I will be forever grateful to the club for giving me this opportunity."